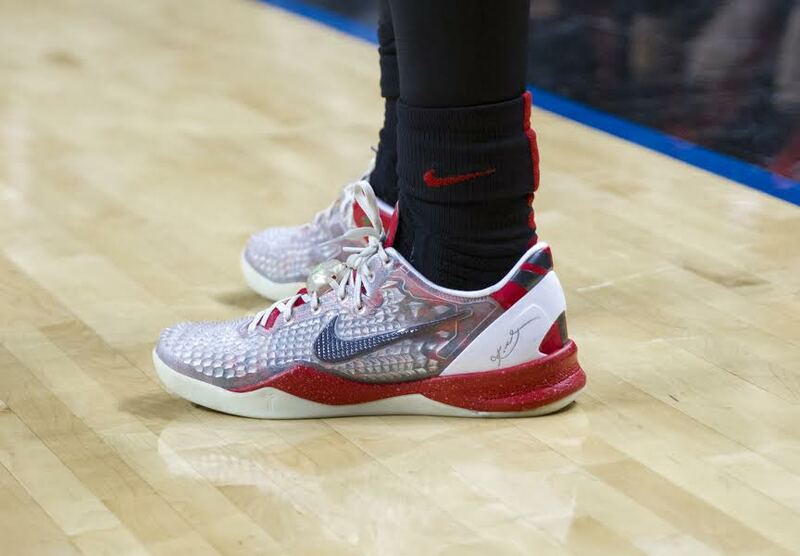 UNLV’s men’s basketball team may not be known as the dominant powerhouse it was among the nation in the early 90’s, but far and away they’ve been known among the nations sneakerheads the past few years for their unrivaled collection of kicks they bring to the court. Year after year the Runnin’ Rebels break out the hottest releases and hardest finds to not only hone their skills in, but flash a little of their court style in the process. This past weekend, the Rebels went to Brooklyn for the Coaches vs Cancer classich eld at the Barclays Center. The two-day contests included Temple, Duke and Stanford to the docket with the Rebels playing the Cardinals first and as usual, they did not disappoint. 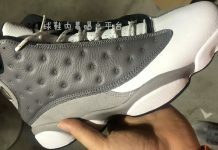 While the team was recently constricted to only wearing certain color per the school’s boosters, they still managed to flash the recently re-released Air Jordan 13 “Grey Toe”. While the team is known for doing their own thing every game, all but a few players donned the classic Jordan’s for their first contest. Unfortunately, the result of that game was UNLV playing one of their worst in years and falling well short of Stanford, getting destroyed 89-60. 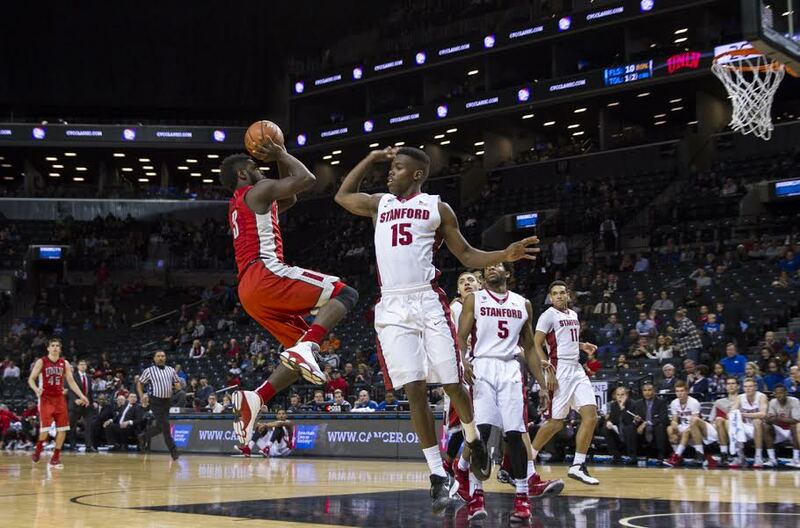 The following night, UNLV took on Temple in a result of the two losing squads in the tournament. 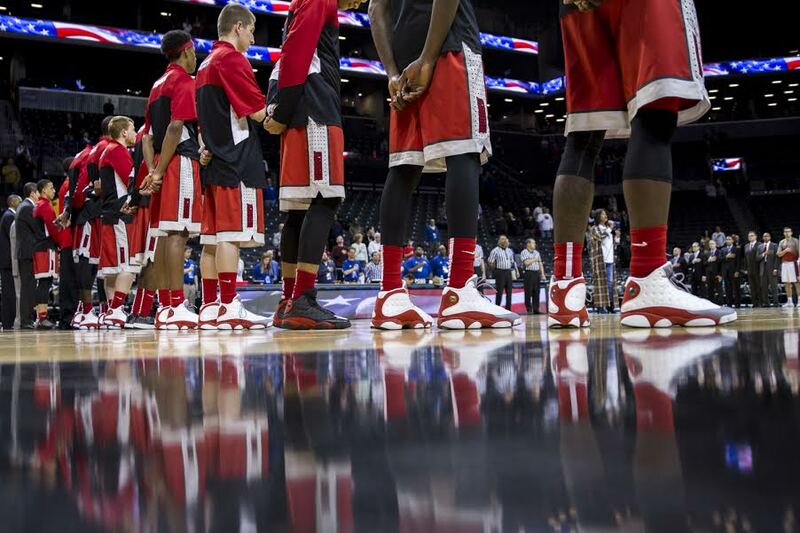 On Sunday, UNLV did not attempt to match, but pull out their second option kicks they were used to. 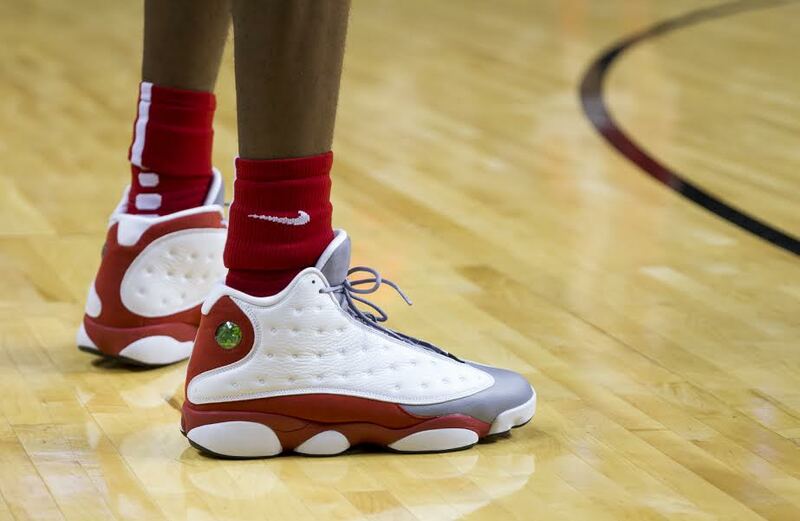 Some plays opted to continue wearing the grey toe 13’s while others wore several different styles. Sophomore, Chris Wood, wore the Nike Air Foamposite One “Camo”, Senior Jelan Kendrick pulled out a pair of his favorite in the Kobe 8 Christmas style in UNLV school colors from NikeiD. 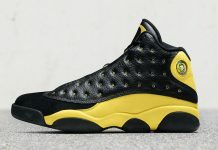 A few other notables were guard, Patrick McCawwearing the “Black Toe” Air Jordan 14s and freshman guard, Rashad Vaughn sporting the bred Air Jordan 13s in their 57-50 win over the Owls. We’re still very early in the season, but you can bet UNLV has some tricks up their sleeves to match the upcoming releases and games to be played. Some of which include powerhouses Arizona and Kansas and ranked foes in Utah and Arizona State. So,keep an eye on the Rebels as they continue to draw eyes in the sneaker world.